Maimi wishes a Morning Musume member a happy birthday and puts on a performance in Osaka in her October 27th update “Osaka ya de~(^-^) “. Full translation below. I’ll attach the pictures with the other members later ! 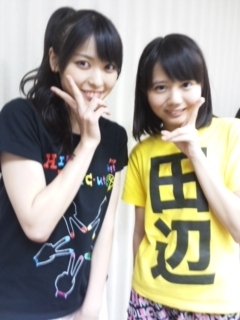 Posted on October 27, 2013, in Blog, Translations and tagged Yajima Maimi. Bookmark the permalink. 4 Comments. 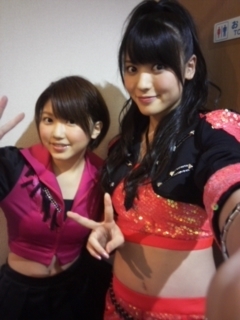 I’m also confused about Airi….is Airi from Chiba or Gifu?? Well she did say “surpisingly” lol. Maybe the nearest hospital to where they lived in Saitama prefecture was in Chiba? And Airi was born in Gifu. Her hometown is listed as Chiba. Who knows what the story is, but I’m guessing the term “hometown” is a little looser in Japanese than English. It’s probably more along the lines of where they were raised.